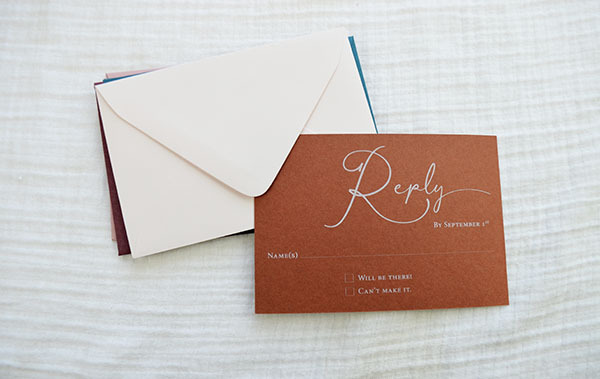 There are three popular options for wedding rsvp envelopes & cards. 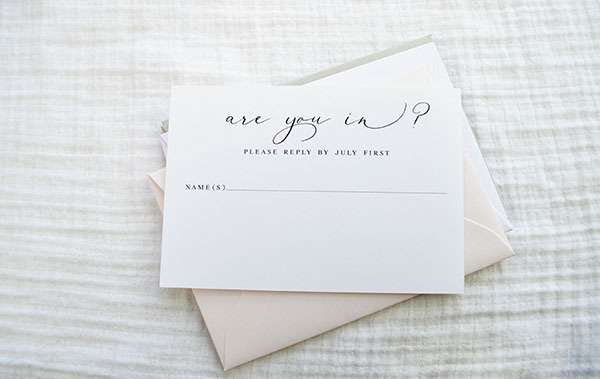 Learn about them below to choose the best rsvp for you and your wedding invitations. 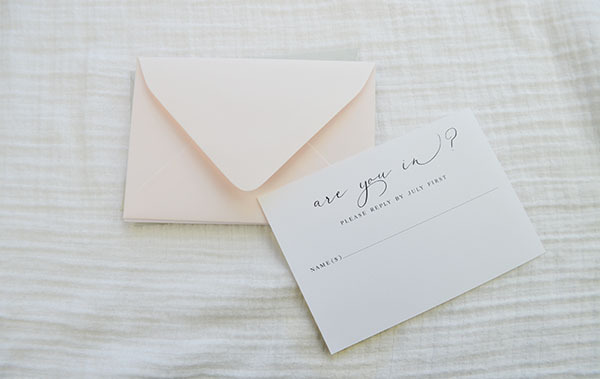 A1 envelopes are the smallest size envelopes that can be mailed in the US, making the A1 card and envelope combo a classic and compact choice for invitations traditional and contemporary. 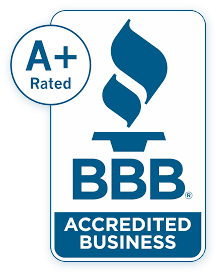 A1 cards must be mailed in an envelope, and require standard postage. Can't print on these little cards and envelopes? We'll do it for you! Slightly larger, A2 cards are also a popular size wedding reply card. 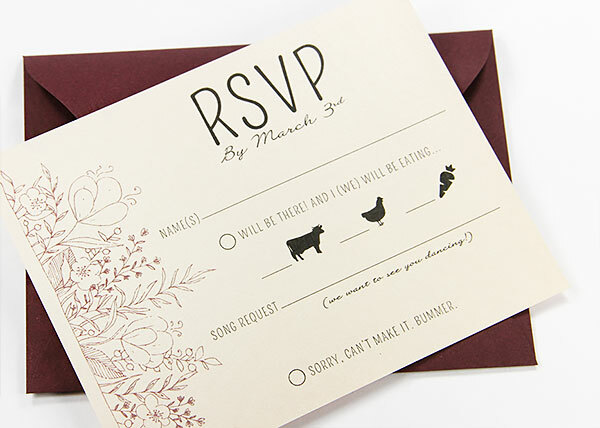 They're great for reply cards with lots of deal - multiple events, meal choices, song requests, etc. 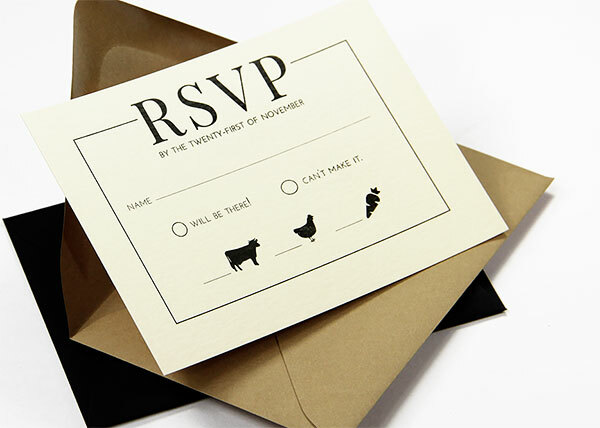 A2 envelopes also require standard postage, but A2 cards can be mailed on their own as RSVP postcards, bringing us to a third popular option. 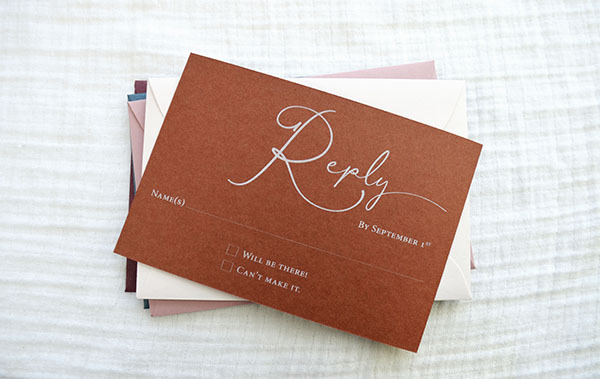 An economical, eco-friendly, and increasingly popular choice, many are choosing to use RSVP post cards. This eliminates the mailing envelope and reduces postage costs. 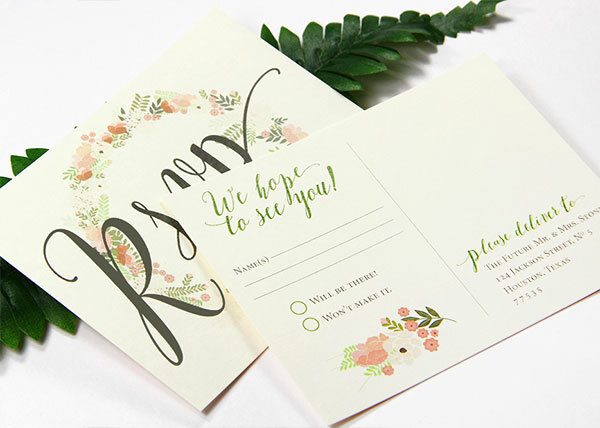 Measuring 4 1/4 x 5 1/2 inches, A2 cards are a standard post card size and an easy choice for wedding rsvp postcards. However, any card that fits within these post card size requirements can be mailed without an envelope and with a single, economical post card stamp.